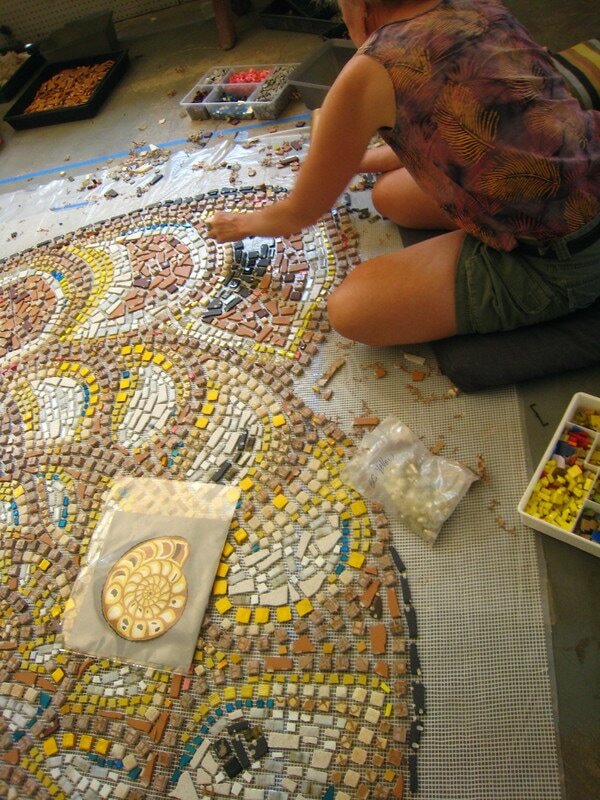 Artist Robin Brailsford is at her best when offered the latitude to realize comprehensive solutions for daunting conceptual and physical requirements. 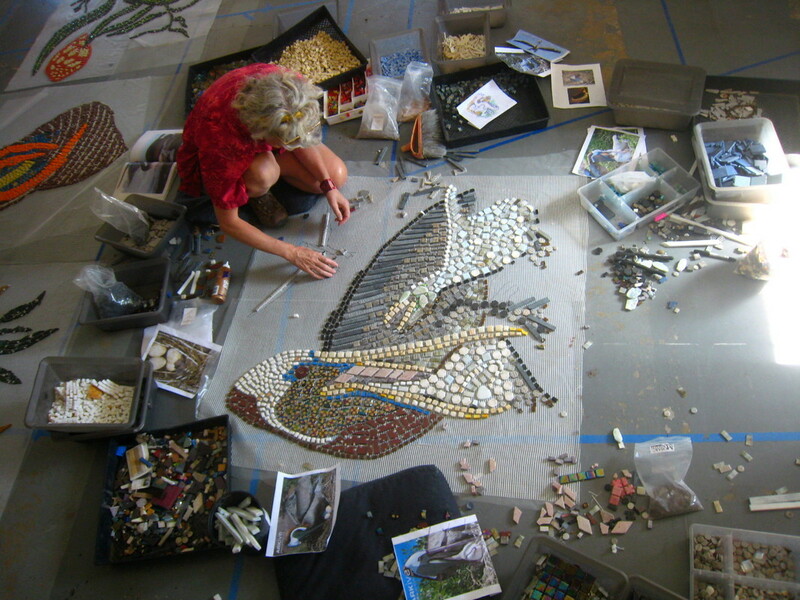 She and her partner Wick Alexander specialize where smart environmentalism meets the greatest public opportunity - in mass transit systems and state and national wildlife refuges. Their artwork has revealed all manner of utopias - from the Colorado River terminus, to Pacific Rim ecology, solar trees and virtual waterfalls for projects ranging from a California water treatment plant, to Santa Monica Transit, to Nevada’s largest wildlife refuge. LithoMosaics is Brailsford’s patented public art technique. 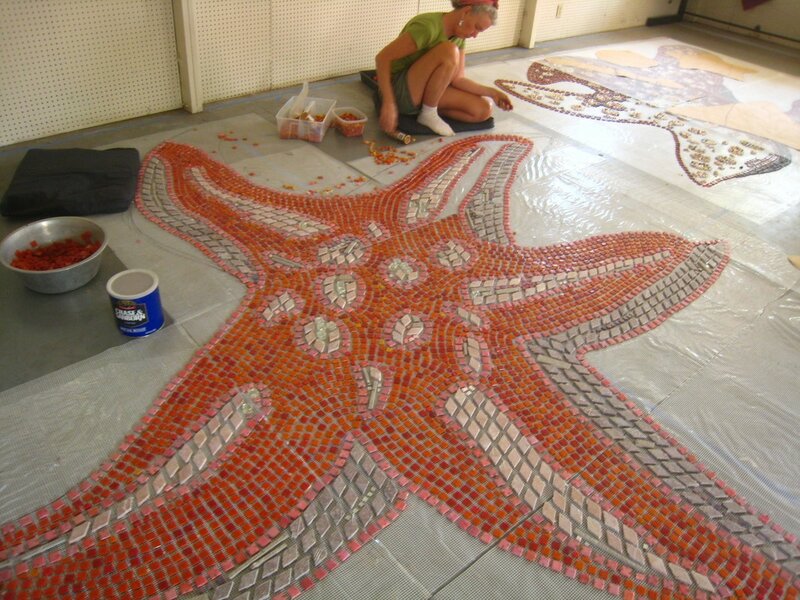 It is a means to cast huge art mosaics within monolithic concrete pours. 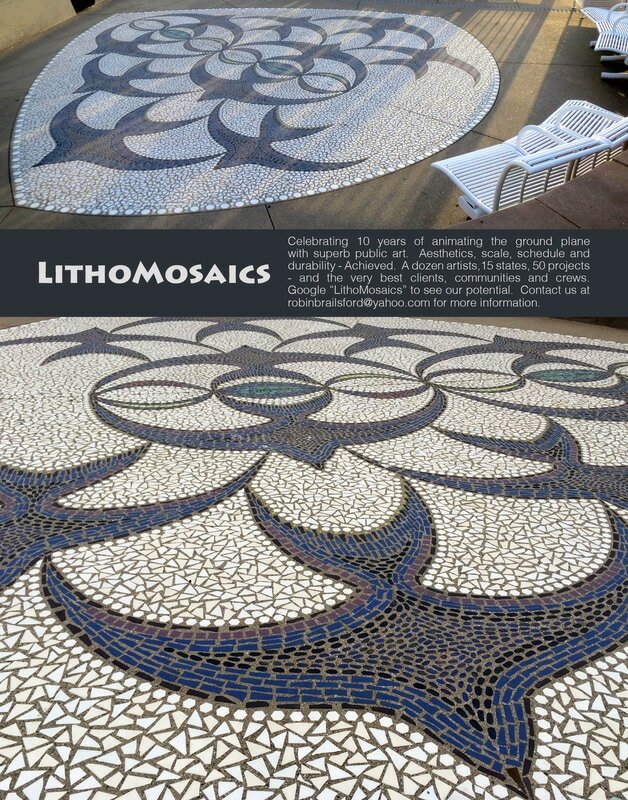 LithoMosaics marries the top qualities of mosaic and concrete – color, size, durability and aesthetics into, ADA and freeze/thaw compliant projects. LithoMosaics’ pioneering partnership with the concrete industry sets a high mark for contemporary aesthetics possible at a civic scale.